Breatheasy® 99% solvent free formulation. Virtually odour free and has a contemporary non-reflective matt finish. Can be used on internal walls and ceilings. Time to recoat approx: 4 hours. Approx coverage: 14m2 per litre. 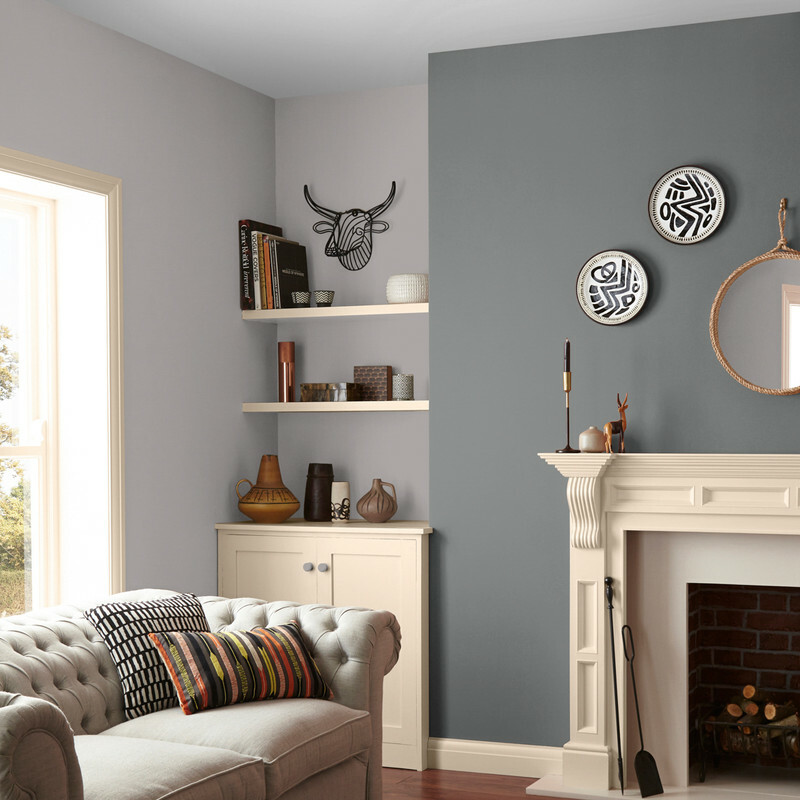 Grey Pure Paint Sample Pack available 55709 . 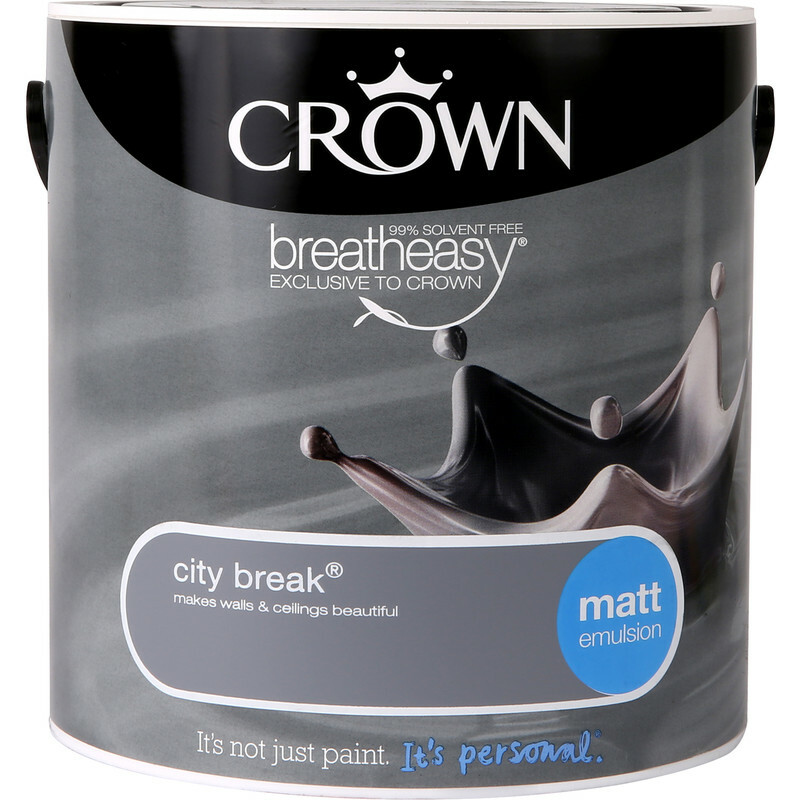 Crown Breatheasy Matt Emulsion 2.5L City Break is rated 5.0 out of 5 by 11. Rated 5 out of 5 by mirali from Excellent service Lovely shade of paint and I am very happy with the results. Rated 5 out of 5 by Steve65 from Great service at the best price! Superb service at the best price - what more could you ask for! Rated 5 out of 5 by painter57 from reliable great paint...good coverage.